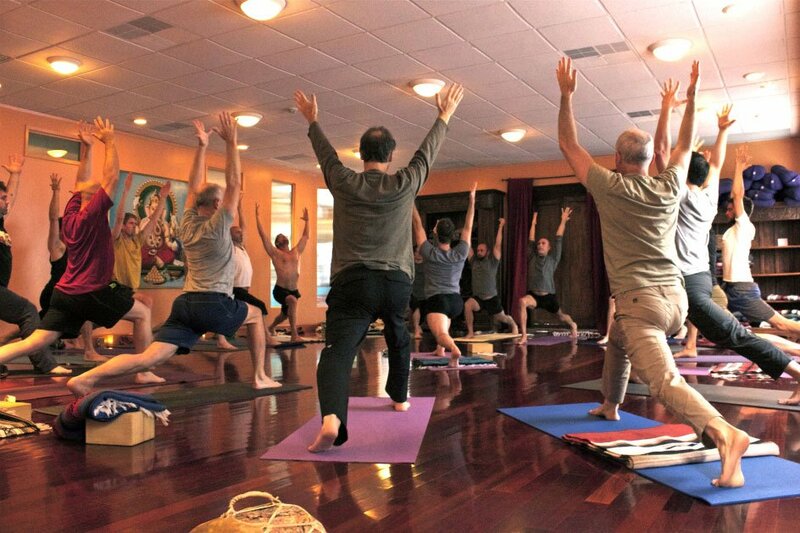 This unique series of classes will bring together the leading teachers and facilitators who lead yoga just for men classes, workshops, retreats, and conferences. Each confluence will be created and co facilitated by a team who will guide our community through asana, pranayama, meditation, and kirtan. This structure will not only reflect the origins how yoga was traditionally taught among men — often from father to son, or brother to brother – but, will also enable us to build our own men’s yoga community in a collective or intentional fashion (kula.) A social breakfast will be an option after each class. This class is donation based and is open to all levels. Monthly updates on this website will list the instructor participating for each gathering. You can also join the Men’s Kula:Yoga for Guys on Facebook. Revolving Faculty: Baxter Bell, Ken Breniman, Scott Blossom, Sean Feit, Pete Guinosso, Darren Main, David Moreno, James Ryder, Antonio Sausys, Eric Shaw, Mark Schillinger, David Schlussel, Dominick Weginsin, and more.